Valencia vs Manchester United predictions for Wednesday’s Champions League clash at the Mestalla Stadium. Manchester United still have a shot at the Champions League Group H top spot, but they need a win over Valencia. Read on all our predictions and betting tips. The squad settled down the 15th spot in La Liga, adding 18 points to their account. They have everything needed to rescue the situation but they have to boost their game to reach the goal. The team sat on the 3rd place in Group H and scored only 4 goals in 5 matches of the group stage. However, they managed to grab some points in the clash against Sevilla 1-1, so now they’re contented and ready to attack. Adding 26 points after 16 meetings, they embrace the 6th spot in the Premier League standings. Man Utd already secured the 1/8 finale for the Champions League, so the upcoming game won’t have any particular importance for them. In view on the recent Premier League events, Jose Mourinho most likely to save some key players and put a backup lineup against Valencia. 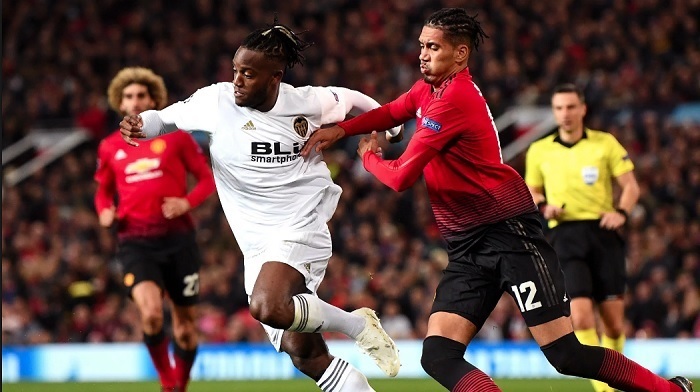 Due to the recent smash over Fulham 4-1, which set them up to improve their position, Manchester United are highly motivated before the confrontation with Valencia. Valencia display great defence performance, however have issues with attack actions. Manchester probably will leave out some key players as the team is not quite motivated to win. Head-to-head meeting of both teams ended in a draw, demonstrating fairly closed tactics. We’ll probably see the same performance this Wednesday. As Valencia fulfilled all their primary tournament goals, they won’t jump through hoops for the positive outcome. Analyzing all the information stated above, we’re jumping to conclusion that no numerous goals would be scored, which facilitate our bet to win.